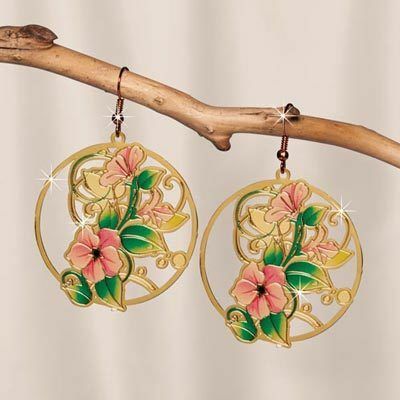 Accented with delicate cutwork and scrolling create these gold-tone metal Floral Cutwork Earrings, accented with soft painted flowers and leaves. French wire. 2½"l.